Last week, I wrote about investment fees in my blog, Are My Dollar Bills Transparent? I was lucky to hear from a colleague of mine who shared his recently published piece on the same theme. 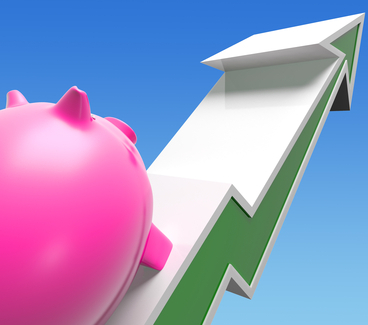 Improve Your Future Investment Returns By Keeping a Lid on Your Expenses by Steve Thorpe of Pragmatic Portfolios, LLC, illustrates why it's so important to keep expenses low. Registered Investment Advisors can help clients with this same philosophy discussed in both my and Steve's blogs. Below is a short excerpt of Steve's blog. Numerous studies have shown that investors have no reliable way to identify, in advance, which asset classes or active managers will outperform in the future. This phenomenon is persistent across time, market subsectors, and geographic regions. To a large extent, where outperformance exists it is due to random chance -- being in the right place at the right time -- as opposed to skill. Click here to read Steve's blog in its entirety. Steve Thorpe is the founder of Pragmatic Portfolios, LLC, a fee-only Registered Investment Adviser based in Durham, North Carolina, that focuses on developing sensible investment plans integrated across all of a client’s investment accounts. He also chairs the Research Triangle Park, NC area chapter of the Bogleheads®  investment interest group. Are My Dollar Bills Transparent? In a financial advisory relationship, it is important for investors to understand the multitude of fees they may be required to pay. When you walk into your CPA’s or attorney’s office, you sign an engagement letter, and pay a fee for their services; there are not a lot of hidden costs. Their engagement letter outlines expenses including charges for photocopies and interest charged on late payments. With your financial advisor, that may not necessarily be the case. If you ask your financial advisor, “What is your fee?” the common response is, “a percentage of your Assets Under Management (AUM).” A percentage of your AUM is the percentage of money your advisor manages. So, if your advisor manages $1 million dollars, you pay $10,000 a year; some advisors charge more and some charge less. I read recently that a typical fee was 1.5% of AUM (Investment News). Surrender fees (in some annuities). My charge to you as an individual investor is to know what you are paying and why. Compose a list of questions for your financial advisor to learn exactly what fees are being charged, to whom they are being given and how they will impact you. Also ask your advisor to see all performance net of fees. My charge to the financial industry is that all fees become transparent. Over a 20- to 25-year investment period, fees can add up and cost investors a lot of money. I understand we have to earn our living, and if we are prudent and fiduciaries to our clients, we will earn a great living. However, the fees need to get easier for our clients to understand. This is paramount in establishing trust with them. As an investor, you can’t control what the markets are going to do, but you can control the information you have when you’re doing your own investing: minimizing your taxes, keeping fees low and staying ahead of inflation. Our firm prides itself on giving you all the information so you can make informed decisions that best suit your needs. Your divorce is final. What’s next? How do you move forward? How do you find the right path to follow? Initiating the next steps can be daunting, overwhelming, and frightening, but the idea of starting fresh and new is worth the trek through the mud. Planning a new lifestyle can bring about feelings of excitement, inspiration and normalcy. With the support and guidance of a professional, transitioning to life after divorce can be simplified. When dealing with a divorce decree, one of the things we focus on at Strada is creating a post-divorce checklist before the divorce is actually final. In the last stages of your divorce, there are many things you can do to help prepare yourself for the next phase. The purpose of this blog is to shed some light on some of the things one might have to complete, per their decree. What we like to do is sit down with the client and the nearly final draft of the Marital Settlement Agreement (MSA) (or divorce decree) to determine the most pressing tasks. We then create a checklist using those tasks as our guide. You can do exactly the same thing at home. As a companion to this article, please feel free to download and use this Post-Divorce Checklist PDF to keep track of all of the important tasks associated with life after divorce. Insurance analyses - health, auto, home - do they still work for you? Sit down and read your decree, divide your tasks into the above categories and tackle them one at a time. For example: Cash management: change banks, open new accounts, close credit cards, analyze new expenses including groceries, and let things settle for 6 months before making big decisions; Taxes: determine who is filing, by when, what documents do you need to share, how will you archive. What can you do to prepare for your new tax status as Single or Head of Household? Once through the administrative matters of the divorce, you can focus on your future, how you want to live and how you visualize your new life ahead. Dealing with all these issues can be overwhelming, but a controlled, well-defined approach will help you complete each one in an accurate and efficient manner. If you have any questions about post-divorce tasks, please feel free to give us a call. One unintended consequence of getting a divorce is that it forces people to get their financial houses in order. Often clients come to my office and have little or no idea what is actually in their portfolios, or how much any of it is worth. One of the first things I do when I sit down with clients is to educate them as to what they actually own. We are most often paralyzed into inaction because of fear. We overcome that fear with education! We then discuss both the short-term opportunities and long-term implications of their holdings. How many accounts do I have, and what forms do they take? In whose name(s) are they titled? What are the tax implications of each asset? How does that affect my tax bracket? (see next blog article for more on that). One discussion I have quite frequently is explaining the difference to clients between two different, but somewhat similar, financial instruments within their portfolio: ETFs (Exchange Traded Funds) and mutual funds. A mutual fund is a pool of funds collected from many investors for the purposes of investing in securities. An advantage of a mutual fund is that it allows an investor to participate in a selection of securities with a smaller amount of money. Your $100 investment might be able to buy small pieces of many companies for increased diversification. An Exchange Traded Fund is basically a number of stocks packaged to sell like a single entity - same goal intended; you purchase lots of companies for a set dollar price. 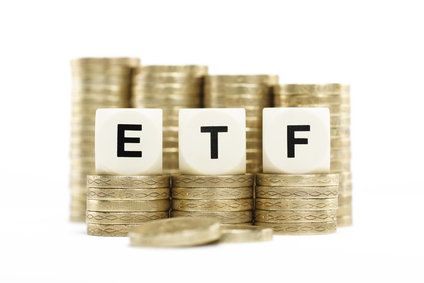 There are hundreds of mutual funds and ETFs on the market to sort through and understand. ETF fees are significantly less than those of mutual funds: Typically ETF fees range from .5% to 1%, as compared to fees of 1-3% for mutual funds. ETFs can be more efficient: This is because they are traded intraday, not just after the market closes. If there's a buy or sell order you want to place, you can have it executed right away. You don't have to wait for the market to close, and for the managing company to go out and re-calculate its value before being able to make your trade. ETFs allow you to control how and when you pay taxes on any profits you make: Whenever a mutual fund realizes a gain that is not balanced by a loss, the mutual fund must distribute capital gains to all its shareholders. These gains are fully taxable to each shareholder, even if the profits are reinvested. In contrast, holders of ETFs only realize taxable gains when they make the decision to sell their own shares. This leaves the tax planning in the hands of the shareholder him or herself, not a fund manager. If you are going through a divorce, the first glance at your portfolio may seem like the junk drawer in your kitchen, but that’s why professionals are here to assist you in understanding and evaluating your finances. Organize your accounts and understanding your holdings is critical. Once all the assets are clearly identified, valued and tax-affected, you will understand how to make better strategic decisions regarding your financial future. I’m Officially Divorced. Now What? I'm Official Divorced. Now What? One of the reasons why attorneys call us in to meet with their clients for post-divorce wealth management is because we are very experienced in helping people transition from the words on the decree to their new life. When a decree has been finalized, and filed with the court, there typically is a list of action items that follow it. Our firm helps clients establish what it is they need to get done right away, and what action items and tasks need to be completed in order for them to start moving on. We really focus on helping our clients transition from that very confusing time to a more stable time. That involves a lot of work, not just in the area of the portfolio, but in the areas of cash management, new tax situation, re-doing wills and estates and reassessing liability policies. A simple example is the need to change beneficiaries on a life insurance policy, or changing beneficiaries on individual retirement accounts. Another is changing allocations of portfolios because there are no longer two risk profiles that need to be considered, or redoing their retirement planning based on one person’s needs instead of two. The wealth management practice really is not just about reestablishing your asset allocation, but it’s about analyzing your current living situation in light of your new life and the needs that match your new life. Typically, when someone gets divorced, they don’t know what to do next. I just advised on a case where we did not negotiate the divorce, but the wife was referred to us a couple years after her divorce was finalized. She still had not executed the Qualified Relations Domestic Order attached to her decree. For two years, her money has been sitting in her ex-spouse’s 401K, waiting to be transferred to an IRA in her name. She hasn’t had access to these funds so that she can make investment decisions based on her needs and suitability. It was confusing, and sometimes when we are confused, we are paralyzed out of action; she needed guidance on how to move forward. Our firm clarifies that and sets out a path and course of action to help people transition, and not feel paralyzed by how to approach it. 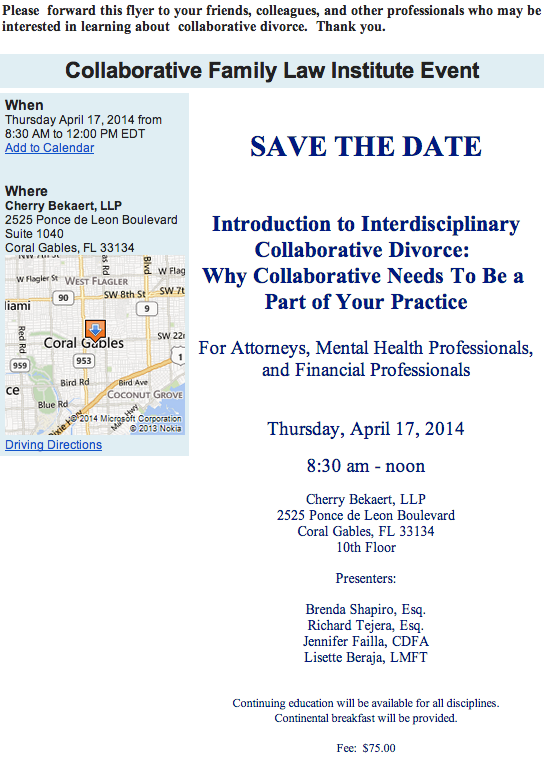 Are you feeling like you are in that post-divorce limbo of not knowing what to do? If so, please feel free to give us a call or leave a comment in the box below. We would be happy to answer any questions you have.